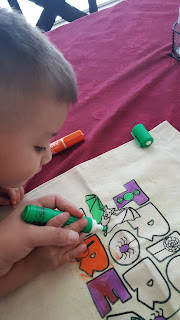 Colortime Crafts and Markers offer fun and easy crafts to do with your child or children. 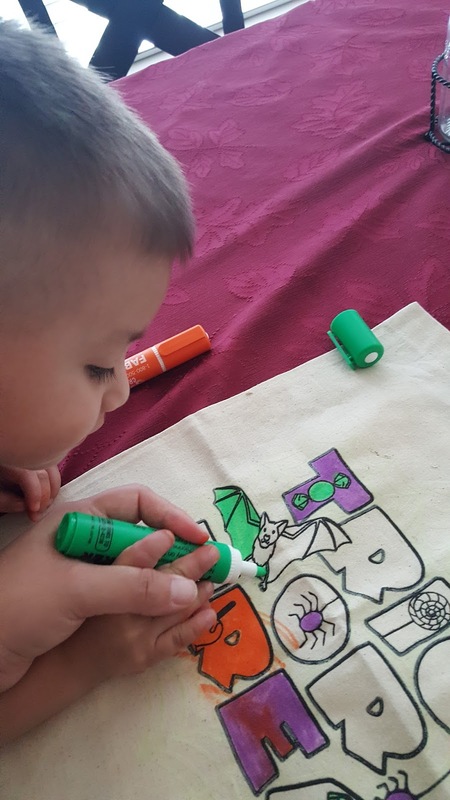 Make it fun by seeing everyone create they own masterpiece and see it come to life. 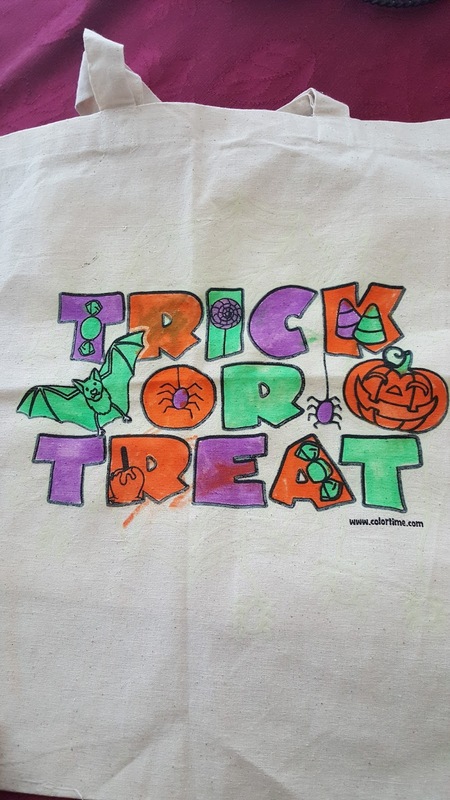 We had the opportunity to test and create our very own masterpiece with the Glow in the dark Halloween bag. 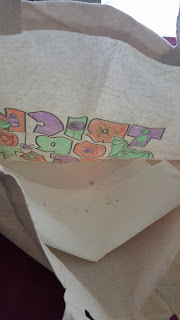 My 3 year old even got to help me and we both enjoyed working on the bag. 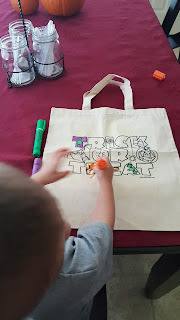 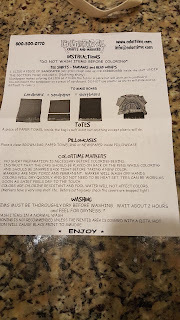 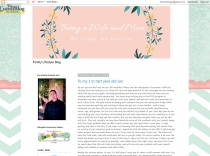 I even love how it came with three fabric markers purple, orange, and green...easy to use to easy to closed for myself my son needed it help. 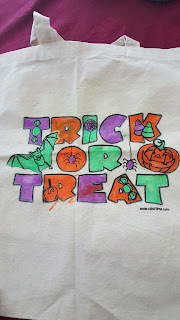 It also look so fun seeing our work finish and glowing in the dark. 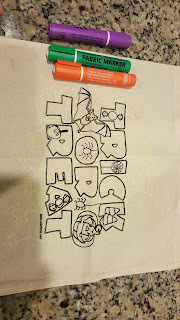 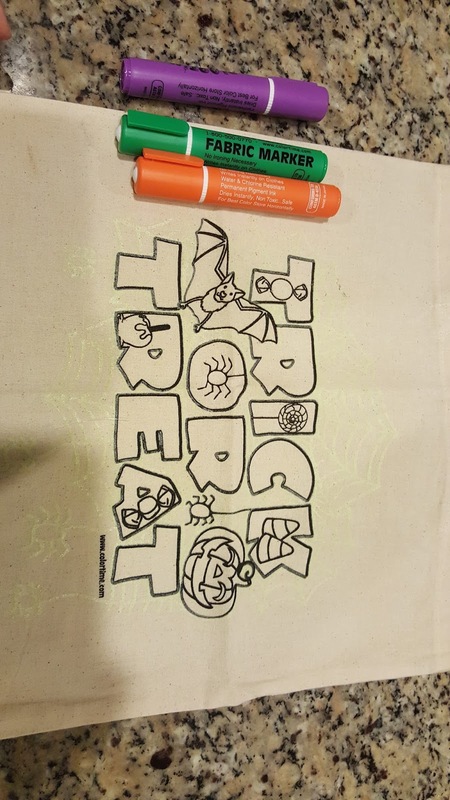 We had our bag, fabric markers and instructions on what do before coloring our bag. 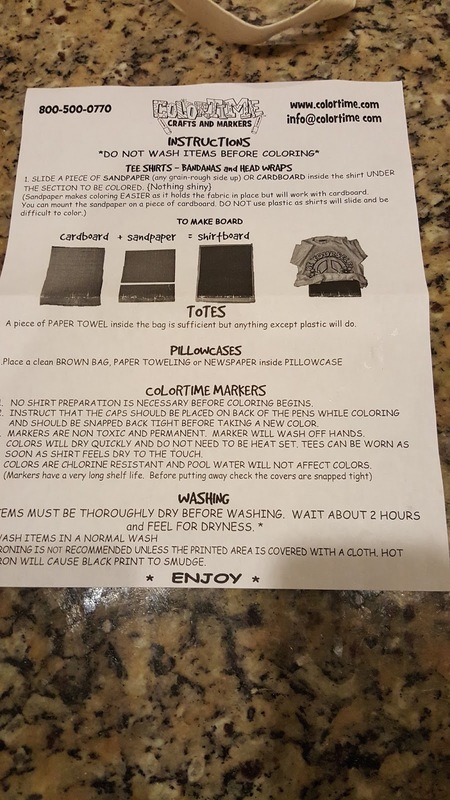 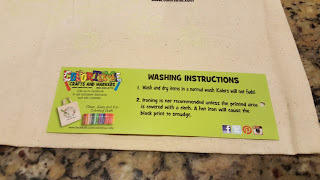 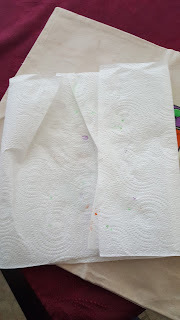 A fold a paper towel in half to stick inside the bag and color away. 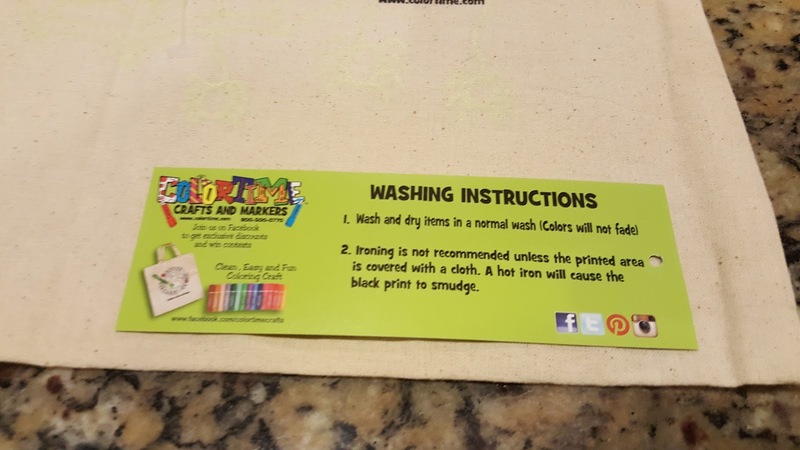 On the instructions it says you can used paper towels if you liked and let me tell you it worked!